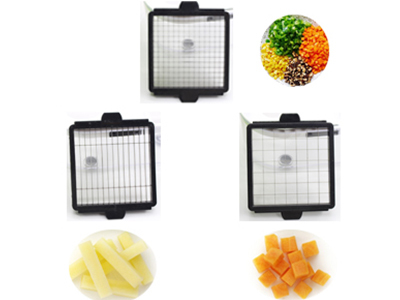 Chop, slice or dice in one easy swift motion.Chop up vegetables, fruits, and more in one simple press motion. 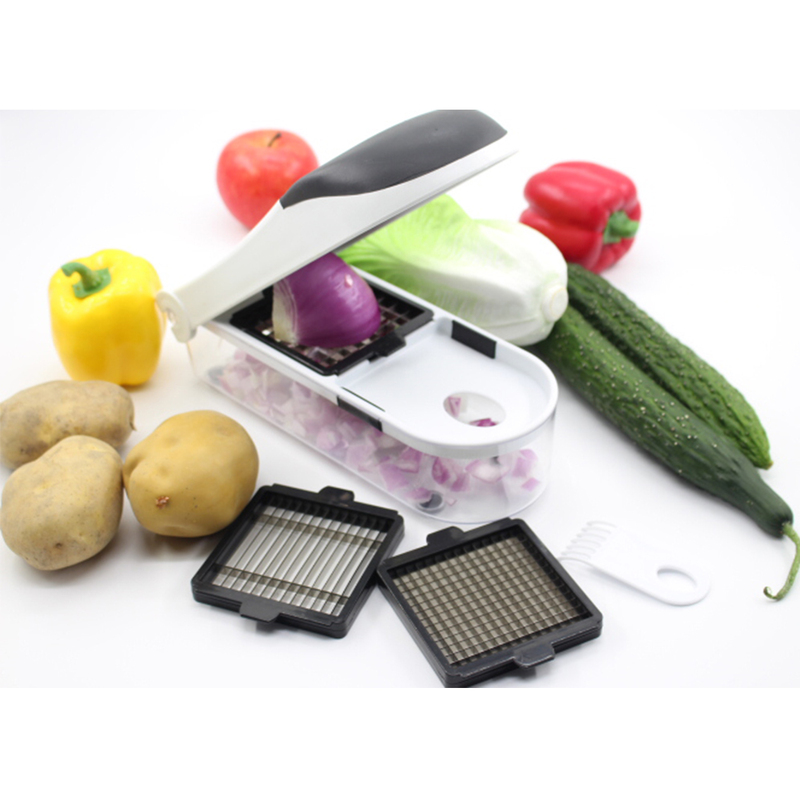 Experience fast and easy kitchen blade skills.Perfect for carrots, cucumbers, onions, garlic, radishes, zucchini, and more.Use this slicer to create colorful salads, fresh salsas, sizzling stir-fry and more! 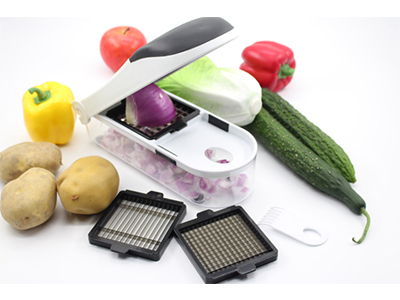 The Vegetable & Fruit Multi slicer is a versatile kitchen tool that is perfect for chopping and slicing fruits and vegetables. This tool can handle strawberries, cucumbers, avocado, onions, zucchini, garlic. Quickly and effortless cut food prep time in half. Very easy to use and all the food falls directly into the collecting container which keeps your kitchen counter clean at all times. Use this slicer to create colorful salads, fresh salsas, sizzling stir-fry and more! The 3 interchangeable blades are made of heavy-duty, rust resistant stainless steel and feature a large cutting surface that will accommodate larger foods. The interchangeable blades are made of heavy-duty, rust resistant stainless steel. All of them have sharp blades with a fine edge, cutting easily and quickly, works well with potato, tomatoes, carrots, radish, cucumber, wire cheese, lime, onion etc. 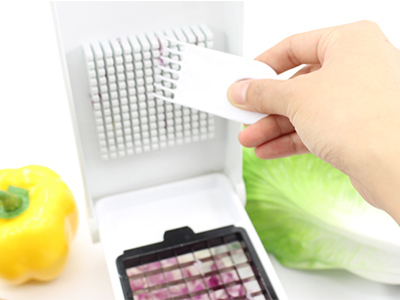 Included is a unique cleaning tool that will help remove food residue from the chopping teeth. The tool conveniently stores in the under the lid. Ideal for creating super salads,a healthy, quick-cook alternative to pasta or a host of other dishes. It's the quickest way for you to replace calorie-loaded meals with numerous healthy veggie alternatives, thereby saving you valuable time, money and improving your health all the while. 4.Do not place the chopper in microwave oven or near high-temperature places.